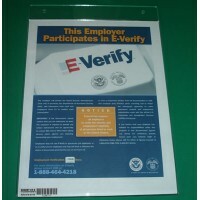 This E-Verify sign holder fits inside the pocket of the WEC-1 Employment Center. It holds an 8½" x 11" poster to inform your future employees that you will verify their papers. If you wish to included colored E-Verify poster please select an insert in the needed language. 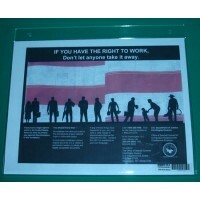 If you need E-Verify wall-mount sign holder please select EVSH-2 item. *Includes Velcro (hook & loop) for positioning.